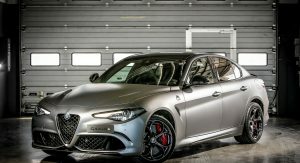 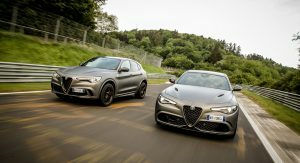 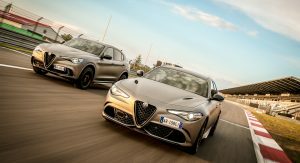 The new limited NRing editions of the Alfa Romeo Giulia and Stelvio Quadrifoglio are now launched in Europe, the Middle East and Africa. 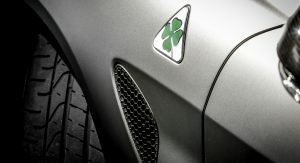 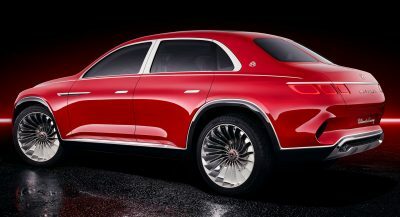 Alfa Romeo will offer 108 units of each model as a nod to the 108 years of the Italian car maker. 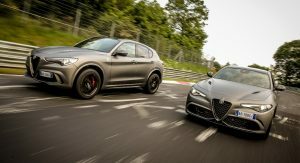 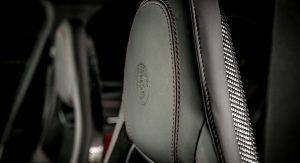 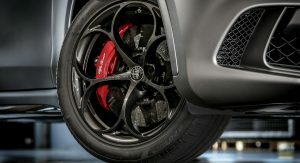 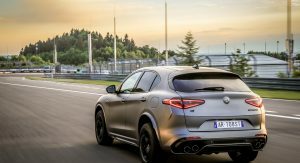 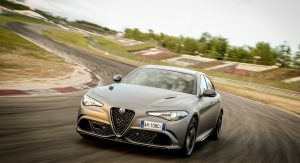 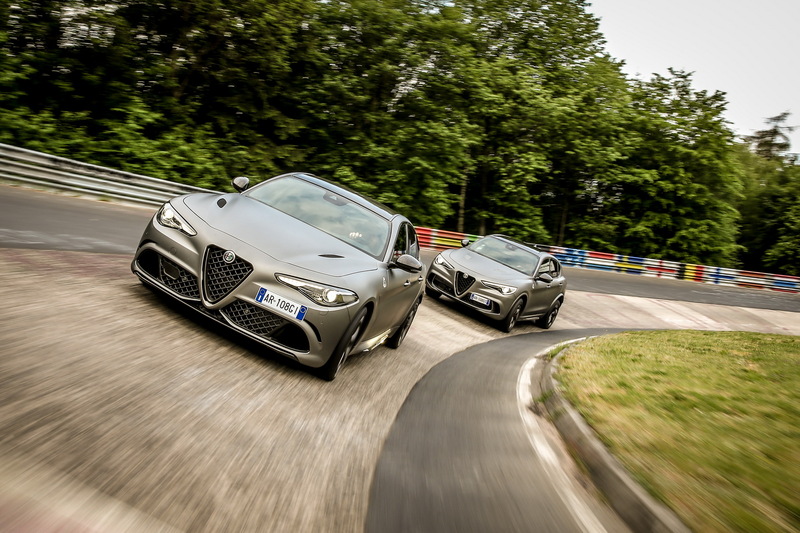 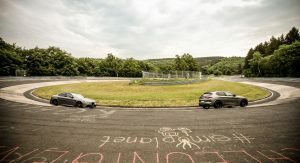 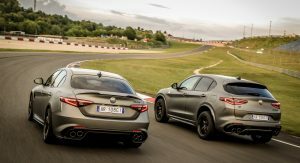 The new special editions, which debuted at the Geneva Motor Show, have been created to celebrate “the historic bond” between Nurburgring and Alfa Romeo. 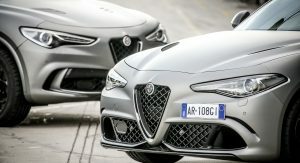 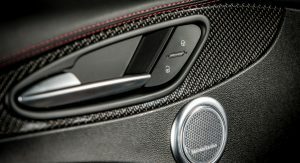 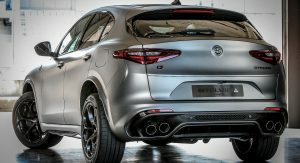 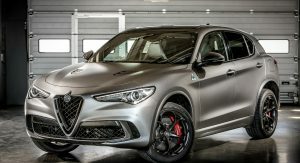 The new Alfa Romeo Giulia and Stelvio Quadrifoglio NRing come with model-specific features, such as the unique Circuito Grey paintwork and a numbered plaque inside the cabin. 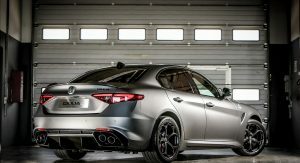 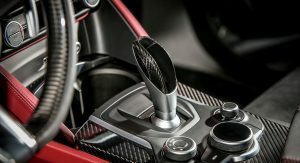 In addition, Alfa Romeo offers them with carbon-ceramic brakes, carbon-shelled Sparco bucket seats with red stitching and a leather/Alcantara steering wheel as standard. 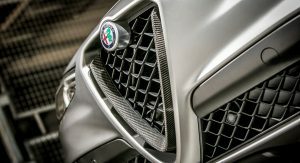 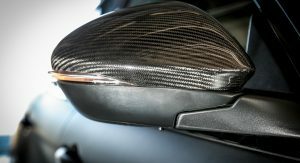 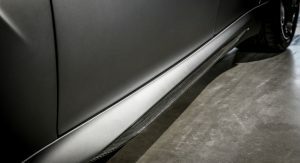 Carbon-fiber detailing includes a front badge, side skirt inserts and the rear view mirror covers. 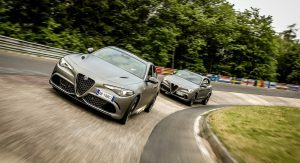 The special Giulia debuts the new bare carbon roof while the special Stelvio gets a panoramic sunroof. 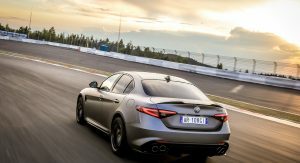 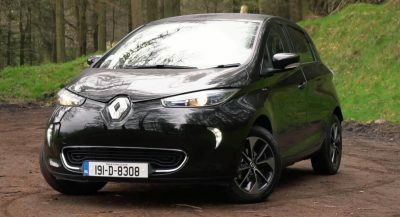 In both cases power comes from the twin-turbo 2.9-liter V6 that makes 503hp (510PS) and 442lb-ft (600Nm) of peak torque and is mated to an eight-speed automatic transmission. 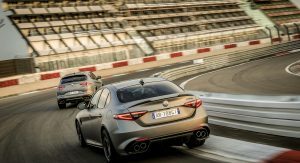 The rear-driven Giulia Quadrifoglio requires 3.9 seconds for the classic 0-62mph (100km/h) and it’ll do 190mph (307km/h) flat out. 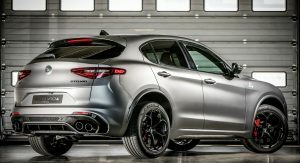 The all-wheel drive Stelvio’s figures are 3.8 seconds for the 0-62 and a 175mph (283km/h) top speed. 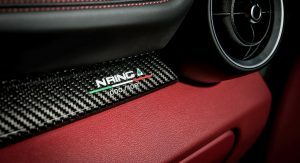 The lucky 216 owners of the special NRing editions will be also offered an exclusive driving experience event at the Nurburgring in 2019, as well as goodies like a numbered 1:18 scale model of their car, Sparco racing gloves, custom jacket, sports bag, cuff links and footwear. 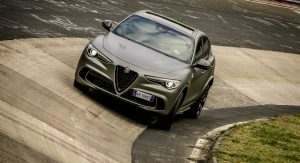 Wait, they already launch the car at Geneva, why they had to send press release again?